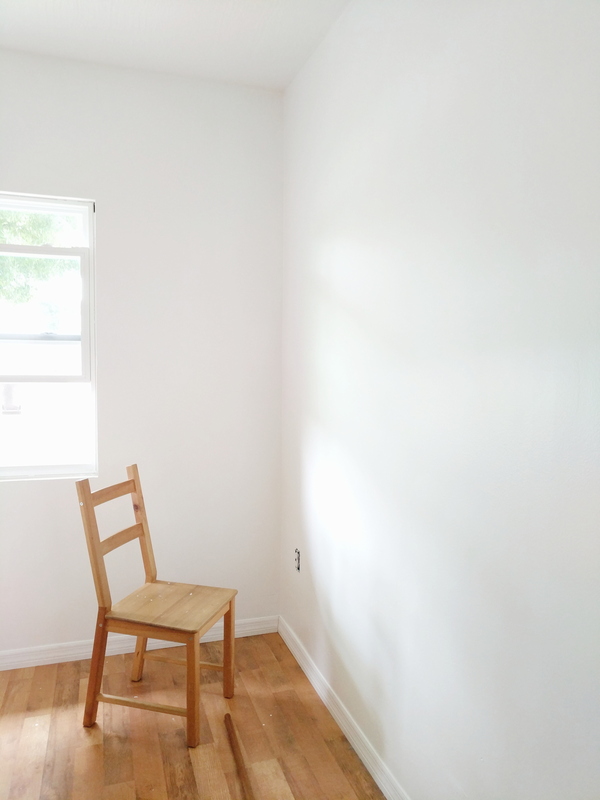 Last week I woke up with an itch to paint our bedroom and managed to finish in one day – which is a huge feat for me. The next day I trimmed out a door in our bedroom and spent the next couple of nights painting the new trim and old, yellowing door. Although our bedroom is still housing kitchen supplies, it feels a lot better with a fresh coat of paint. Yesterday, while I was at a prenatal appointment, my mom came over to watch my children and set up the baby’s cradle. This cradle was used by my sister, my cousins, myself, Eliana, and Philip. It needed a quick alteration due to a stripped screw but now it’s all set to go. 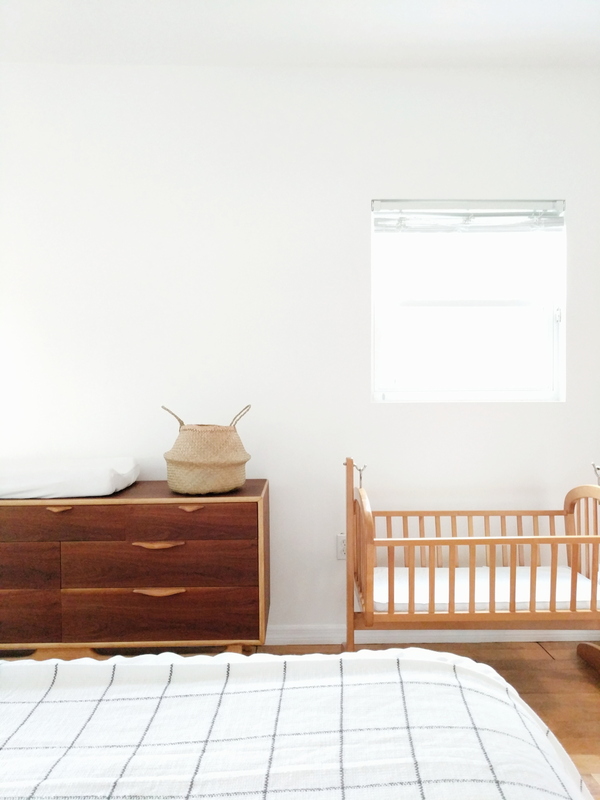 Earlier in my pregnancy I refinished that dresser to the left, knowing it would one day be the baby’s changing table. It’s packed full of the tiniest little clothes, swaddling blankets, and all of the other essentials. I want to say we’re all set for the baby to arrive, but there is still a kitchen to finish and walls to paint. The fact is, not everything is going to be finished by the time he makes his appearance and that’s OK – something I keep having to remind myself every hour. Life still goes on after a newborn and projects can still be completed (after a time of healing and rest, of course). 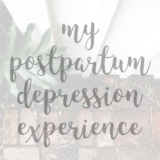 I’ve let anxiety and stress creep in this pregnancy and am finally, slowly, stubbornly, yielding to God’s ever patient, ever present pull to rest in Him. There will always be work to do but there won’t always be little kicks in my womb.